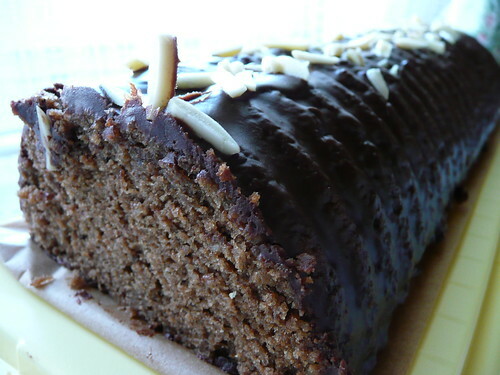 Food on Foot: Eine Schokolade Torte? (4) Meanwhile, melt the chocolate at low heat and pour into batter and whisk. (14) Bake for ~45 minutes. Stick inserted should come out clean. (16) For the grazing, melt chocolate and butter at low heat. Stir constantly. (17) Pour chocolate grazing over the cake making sure to cover the entire cake. (=) The cake is not too buttery or too thick. (=) I especially love the nutty flavour from each bite!